Rising 54 storeys high, Ponte City is the tallest residential building in Africa. Since 1975 this iconic structure has punctuated the Johannesburg skyline, originally offering cosmopolitan living for white South Africa. 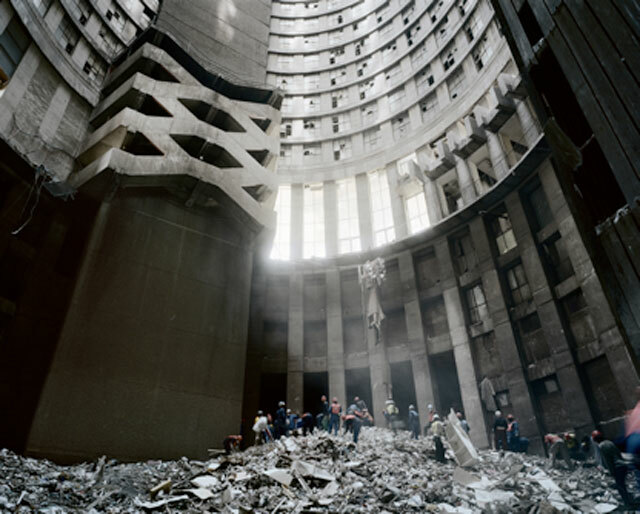 The tower became the subject of a creative collaboration between South African photographer, Mikhael Subotzky and British artist, Patrick Waterhouse, who documented the building during its renovation from 2007 to 2012. The resulting work provides a cross-section of an iconic South African landmark that continues to symbolize the hopes and fears of the country’s most populous city, and in turn, this post-apartheid nation. The exhibition is organized by Le Bal, Paris and Foto Museum, Antwerp.